I overhear the girls discussing something and I can tell it's a secret. I lean in to eavesdrop and they stop. "Who are you talking about? Who do you call Tiger Heart"
"You!" they say in unison. "You are the Tiger Heart." Manoj continued, "You are fierce and will pounce but you are also protective and you have yellow hair." 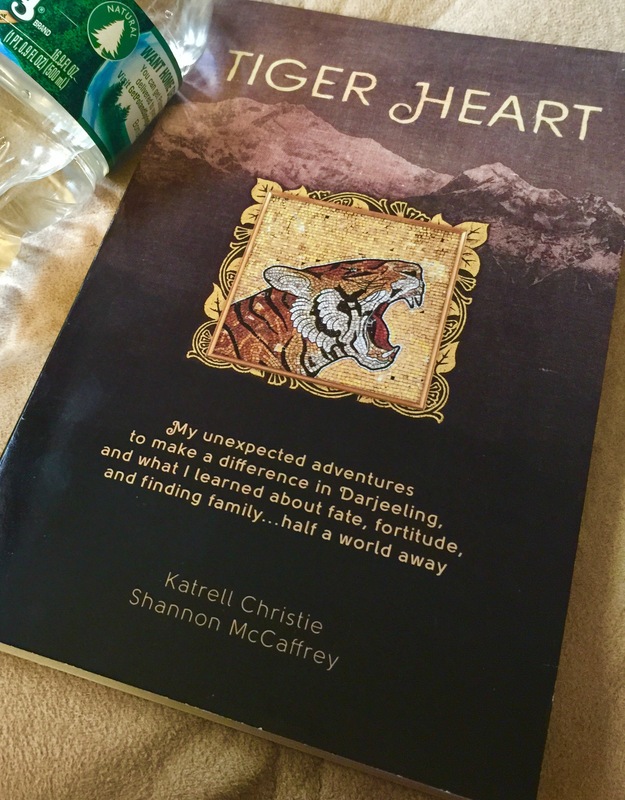 The beauty of a book like Tiger Heart is that it’s not just one woman’s story – a story that starts in the southern part of the United States and reaches across the world to Darjeeling, India, and becomes the prologue to hundreds of life stories that are changed forever because of a simple “Yes”. 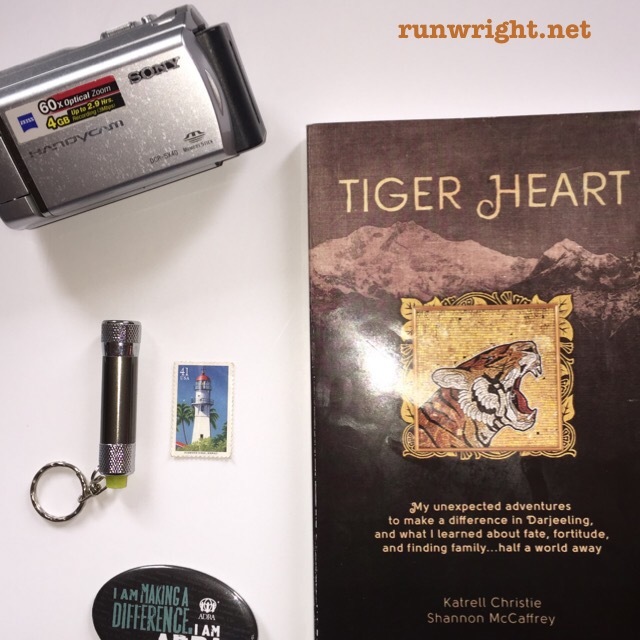 That’s why Tiger Heart is not just a memoir but an epic tale – the young heroine leaving the comforts of home, going out to change the world and herself and then returning home to influence the people she’s always known to do the same thing. In Katrell’s travels, she survives mugging, con-men, dishonesty, illness, near drowning, has to abandon some of her projects because she’s a woman and she can’t sign a lease in the male-dominated society. But she also finds love and sacrifice where a family saves up to donate to her girls, she finds honest people whose greatest joy is to help someone else. And by page 99, Katrell has become Tiger Heart! And that sums up the power of The Learning Tea, the name she gives to the project in India – no matter Katrell’s passion, her accomplishments are magnified the more people get involved and help. A lot of people giving change at her shop in Atlanta help pay for scholarships for girls in India. A lot of people at home buying a few packs of tea online go to support a program in Kolkata to rescue unwanted girls and transform them into productive women. The good folks at TLC have also sponsored a giveaway so a reader can win their own copy of Tiger Heart at each stop on the book tour. Just leave a comment below today to enter for your own chance to win. Next Post Can You Learn To Be Creative? WOW. What an impact this young woman is having on others. Your review is fantastic and inspiring. Thank you so much for being on the tour! I appreciate the opportunity, Lisa! The whole story touches me so greatly. I have other friends who are missionaries and it never ceases to amaze me just how great an impact one person can have when (s)he decides to help others. I love the quote about the zeros and how they are changed through teamwork. I shared that with my daughter, a college freshman who is really into volunteering. Love it. I think if I had to pick one paragraph that sums up the book, that would be it. Nobody can do everything, but everybody can do SOMEthing. Right?? Ok so now I really want to read this!! I love empowering books!! Thanks for sharing it … im legit going to try to find it! Awesome, Kay. Clicking on the book title in the post should lead you to the Amazon page. I hope you enjoy the book as much as I did. It’s a great reminder that we can all do something to change someone’s life.